Ambiente Blog • How to give gifts like a pro. 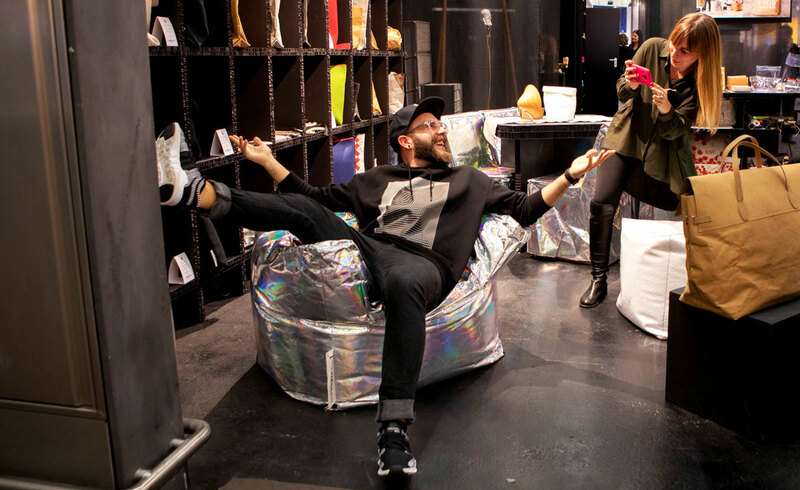 For the third year in a row, the bloggers from Schoenhaesslich visited the Giving area at Ambiente. They’re always on the lookout for new stuff and the next big thing. Choosing gifts is not so easy, especially for someone who (it seems) has everything already. Giving has always been better than receiving. But finding the right item is often much harder than anticipated. You might even end up buying an unoriginal gift token and taping it to a bottle of wine. 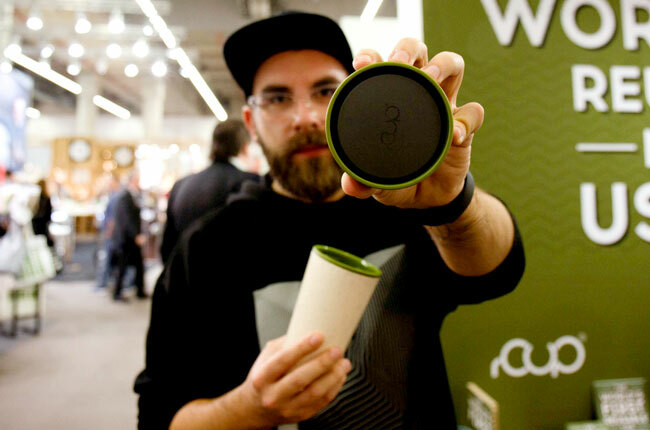 To prevent this, we searched Ambiente for the third year running, and once again we’ve come up trumps. So what makes a good, or even a creative gift? 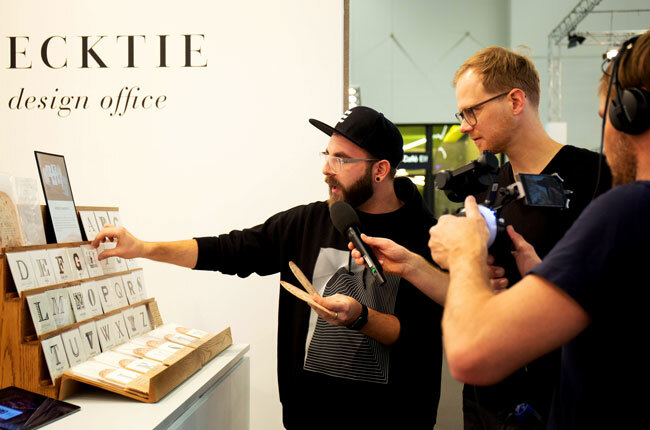 Johannes answered our question on his tour of the halls with the Ambiente Live team; he and Ben provided an insight into the highlights of this year’s Giving area and the various gift trends. In our experience, instead of buying a present specially, just a few days before the big event, it’s better to keep your eye out all year round for something suitable. Then when you spot something you know your friend will like, you can buy it and set it aside. Even if you buy it way ahead of time, it means you have a personalised gift ready and waiting – without any last-minute stress. It’s the little things that make us happy. One of the simplest ways to make someone smile is to give them chocolate. Even your friend who has everything will be pleased with a cocoa-based gift. We visited Simply Chocolate from Denmark at their stand, and discovered the perfect chocolate gift. Their flavours range from Crispy Carrie, a salted caramel chocolate, to Fit Fiona, a chocolate with protein and berries. 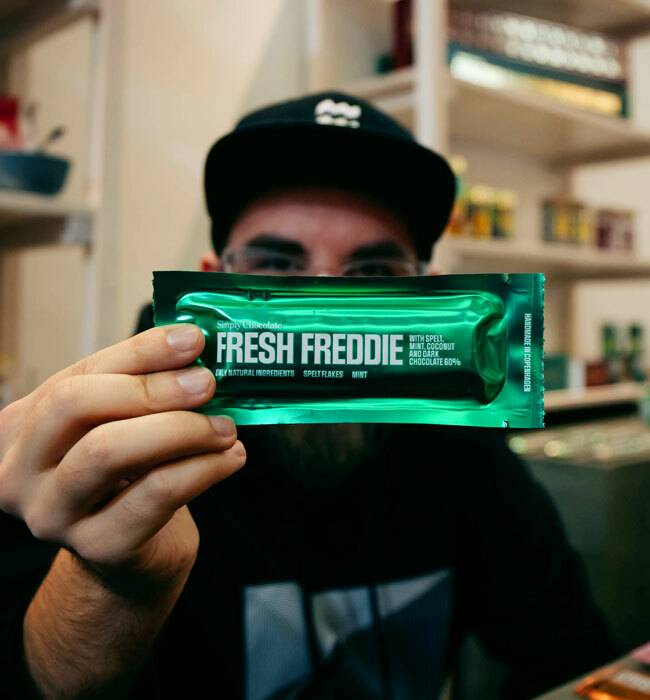 Each named bar will bring a smile to someone’s face – and a great taste to their mouth. The design is brilliant: a vacuum-packed pouch that may be more familiar to astronauts. On the subject of astronauts, we stayed with the SpaceX vibe at Donkey’s stand. 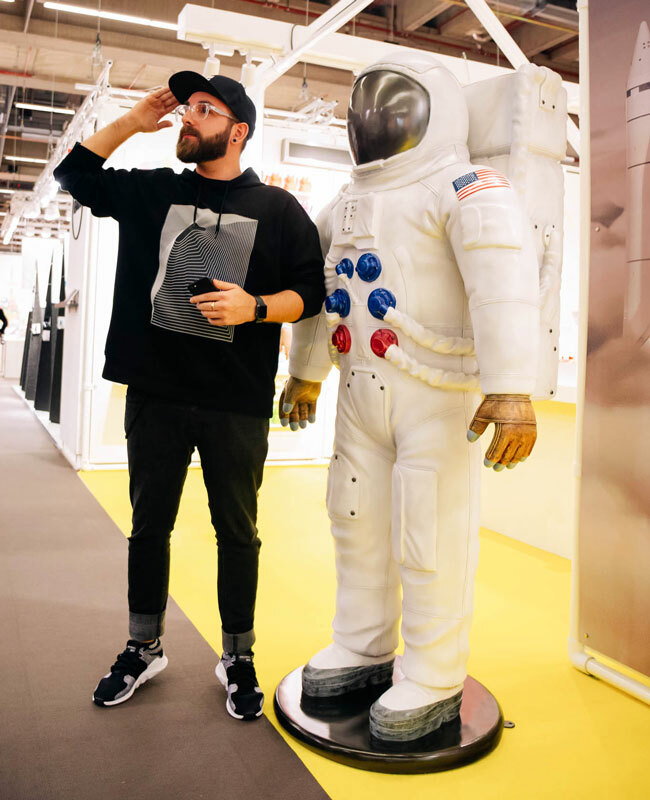 We feasted our eyes on this spaceman, and couldn’t resist picking him up. He stands some 30cm high, with a ‘snowstorm’ helmet full of golden glitter. All in all, this is a great interior item for lovers of good design, sci-fi and space. The man on the moon comes in various sizes, and there’s an alternative robot design. We think it’s out of this world! Technology is one of our go-to gift ideas. Yet there’s also a clear trend towards personal, analogue presents. Some are DIY, some are handcrafted and some are letterpress-printed on card. The faster-paced our lives, the more a home-made, do-it-yourself or handwritten gift will be appreciated. These show you’ve invested your valuable time and effort. 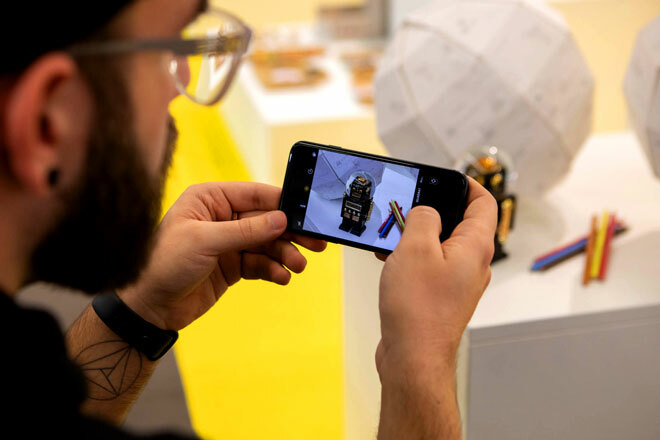 For us, an absolute highlight of the Giving area was this build-your-own digital camera from the Philippines – for a personal, analogue snapshot. Is it made from paper, wood or transparent plastic? That’s up to you. 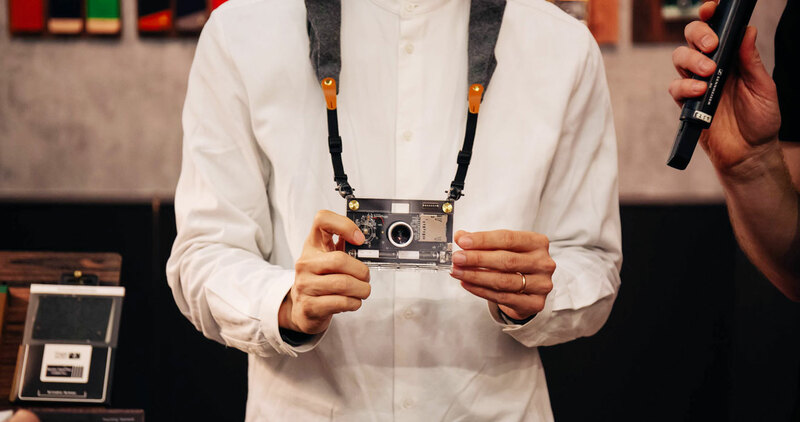 Papershoot’s DIY camera is a must-have accessory for photography fans. This camera is small, flat and can be constructed in a few simple steps. Magnetic lenses can also be added – and not only does it take very good photos, but they’re also stored digitally on an SD card. All in all, it’s an ideal present. If you’re looking to avoid technology altogether, Rivsalt have an unusual type of ‘grated salt’ for you to serve and enjoy. 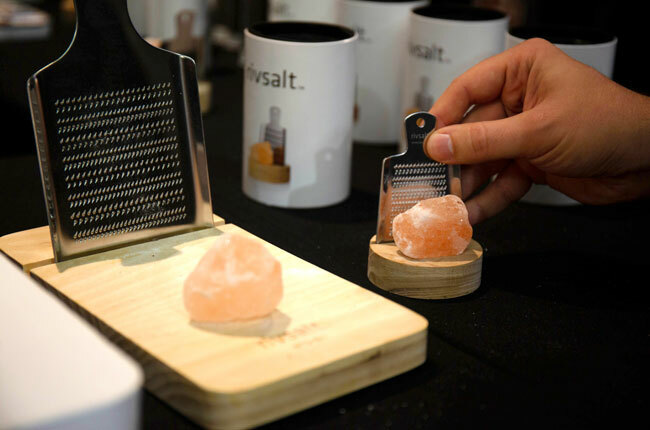 Their product is a cross between a cheese grater and a salt lamp: this salt grater looks divine, and can be used to add different types of salt to your meal, each with its own distinct flavour. If you still haven’t found THE perfect present, why not browse the Gifts & Accessories category online yourself? And if you enjoyed this guest blog by Schoenhaesslich, check out our regular blog, where you’ll find more tips on all things design, travel and lifestyle.